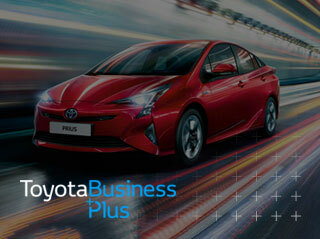 At Toyota we recognise that managing the needs of your fleet can be a challenge. We simplify fleet management with a range of fully tailored services and tools to keep your company car drivers happy and your business costs down. You’ll find business rental finance like leasing, contract hire and finance lease, and ownership solutions including hire purchase, personal contract hire and lease purchase. The combined petrol and electric engines throughout the Toyota Hybrid range means that the total cost of owning a Toyota Hybrid is low. In the table below you can see the monthly TCO of the Toyota C-HR Hybrid Hatchback is £151 less a month than a diesel equivalent model in the same segment, over 3 years, this would equate to an approximate saving of £5,400*. *Based on October CAP TCO Data.